Hitzafrica.com can exclusively confirm that Ghanaian Dancehall artiste Ebony Reigns is dead. 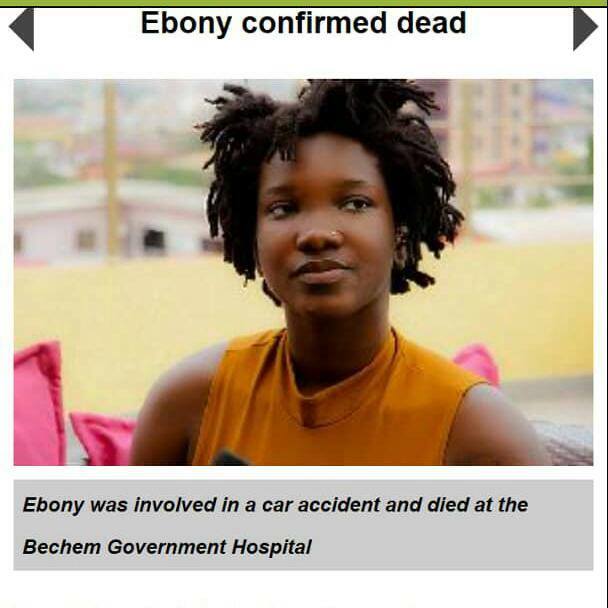 Ebony who was returning from Sunyani after a visit was involved in a ghastly car accident Friday dawn. She was rushed to the Bechem Government Hospital but unfortunately she died. The driver according to the report survived is in critical condition and is receiving treatment.